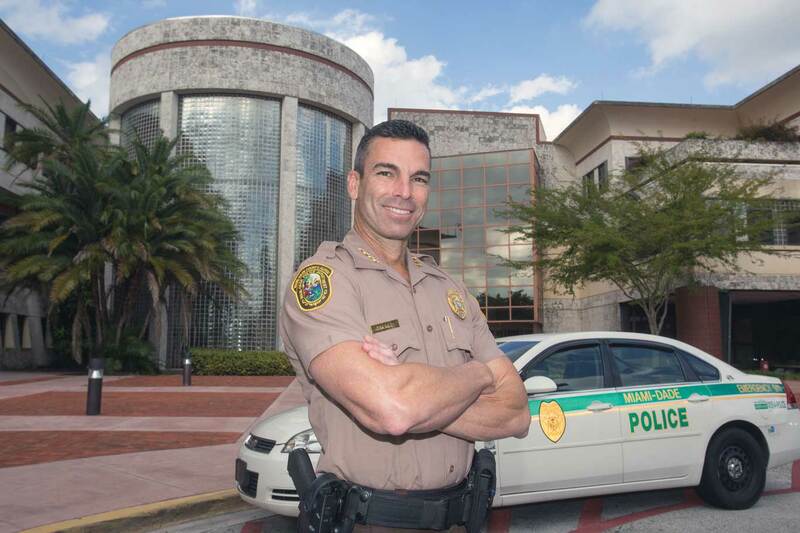 The director of the Miami-Dade Police Department has told county commissioners that they shouldn’t consider dashboard cameras for police cars because body-worn cameras already catch video and duplication would be too costly. Juan J. Perez’s report for this week’s commission meeting states body-worn cameras allow officers to capture police interaction with the public more effectively than dashboard cameras and the department’s body-worn camera purchase included 1,000 vehicle mounts free of charge. “To date, seven mounts have been issued to the special patrol bureau for use with their traffic enforcement details,” he wrote. Dashboard cameras offer potential advantages in keeping police safe by allowing situational awareness, improving community relations and accountability, and providing evidence for successful prosecution, Mr. Perez wrote. The operating costs vary, depending on the vendor picked by the police department. “Some [dashboard camera] systems provide cloud-based storage which is estimated to cost about $3.60 a year per gigabyte while other systems allow storage of data on a server,” he wrote. Mr. Perez’s report states police staff have widely explored the use of dashboard cameras for patrol vehicles. In October 2015, commissioners directed the administration to study equipping Miami-Dade police vehicles with dashboard cameras and provide a written report. Mr. Perez said there were quotes for 1,800 dashboard cameras from two county vendors. “The [dashboard cameras] are costly, averaging $4,300 to $4,700 per vehicle with a potential fiscal impact of $8.5 million,” he wrote. The cost excludes installation, warranty, equipment replacement and video storage. According to the county’s Information Technology department, if the police department maintains the system, it would cost $8.40 a year per gigabyte, and a server that would hold about 96,000 gigabytes would cost about $100,000. One of the main advantages of having a cloud-based storage system, the memo said, is it includes several back-up systems to ensure the data is available. “The purchase of a server would bring on additional costs for backing up the data somewhere else,” Mr. Perez wrote. “However, body-worn cameras have an average cost of $780 each per year, totaling an estimated cost of $1.4 million for 1,800 police officers.” The cost includes warranty, maintenance, equipment replacement and video storage.